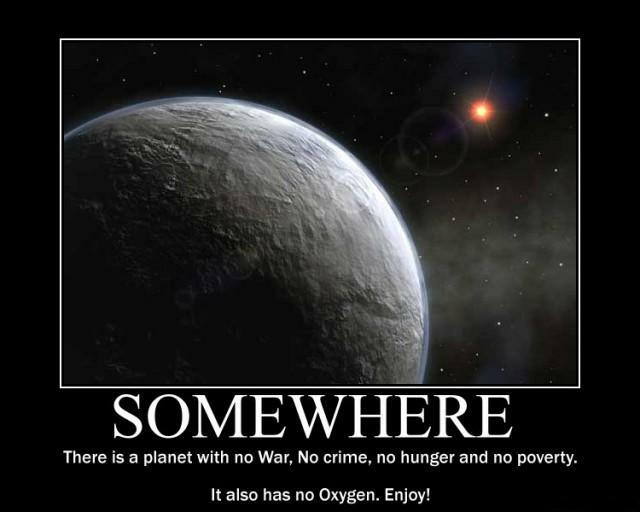 Somewhere there is a planet with no War, No crime, no hunger and no poverty. It also has no Oxygen. Enjoy!